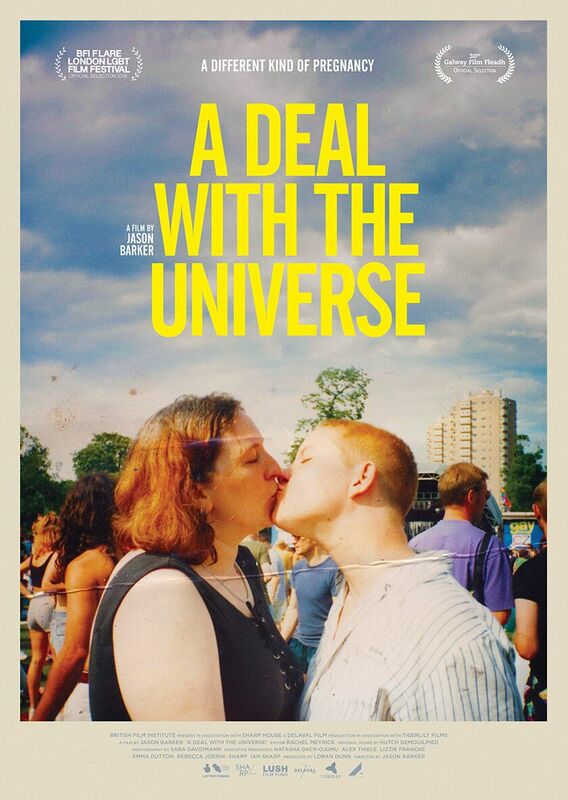 Groundbreaking trans pregnancy documentary, A DEAL WITH THE UNIVERSE, screened at the 30th Anniversary of Galway Film Fleadh last night (Friday 13th). It had launched as the centrepiece film at BFI Flare: London LGBTQ+ Film Festival in a three night sell-out run, where they had got a standing ovation, and was produced by BFI’s Vision award-winning producer, Loran Dunn, who is also a 2017 Screen Daily Star of tomorrow. Jason Barker’s autobiographical debut feature is made entirely from personal archive and home video diaries. The film follows his incredible story of how he came to give birth to his son, charting over 15 years of his and his partner Tracey’s life. Amid the Gender Act reform, and with Ireland moving towards a more progressive and inclusive society, this unique personal story of a trans man’s journey towards parenthood captures the current mood of both the political and societal landscapes that are currently being reformed to recognise the challenges LGBTQ+ people face. A Deal With The Universe offers an intimate insight into gender identity and parenthood for trans people, showing an extraordinarily honest look at the challenges and triumphs one couple faces as their journey takes several very unexpected turns. The documentary offers a new perspective on the trans stories we may have heard before, focusing on life after transition. “It’s so important to document queer history” said Director Jason. “I’d like audiences to take away a greater understanding that gender and identity are not always clear cut, that trans people are not victims and can demonstrate resilience and humour in our lives”. A Deal With The Universe (90 mins) screened last night, Friday 13th July, at the Pálás Cinema, as part of the Galway Film Fleadh. ← Preview: GAZE Film Festival 2018 plus festival promo trailer!